Thank you for visiting the TACHE San Antonio chapter page. 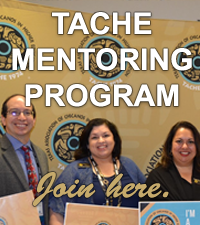 Whether you are an administrator, faculty, staff or student, you can be an advocate for the TACHE mission of promoting educational and employment opportunities for Chicanos in higher education. We invite you to attend our next meeting and to become a member today. Raul Murguia was teacher, parent, husband, friend, poet, and a man of vision who saw what needed to be done, not for his own sake, but for the greater good of everyone who would come after. He worked and taught at San Antonio College, and, in collaboration with others, founded the Texas Association of Chicanos in Higher Education. In reaching for a better way of life, Murguia touched the hand of immortality, where even death does not conquer his spirit and leadership. SAC Colleagues worked diligently to establish a fixed memorial on the San Antonio College campus, and additionally, to rename the President's Honor Society Program that recognizes students who aspire and achieve excellence in their academic pursuits as tribute to Murguia, the man and his vision.